Poundland is in the doldrums, but that doesn’t make it a bargain. The UK retailer is being eyed up by Steinhoff International group, following a 30 percent-plus fall in its share price since a 2014 flotation. Its South African suitor should proceed with caution. Poundland has had a difficult 12 months. The single price discounter’s purchase of its nearest rival, the 99p Stores chain, was complicated by a Competition and Markets Authority probe. Although the deal was okayed, Poundland wound up paying integration costs more quickly than it had expected, which helps explain why annual underlying pre-tax profit fell 13.5 percent year-on-year. But the group’s sales on a like-for-like basis are also stuttering. They fell 3.9 percent in the 12 months to March 27, compared to growth of 2.4 percent the previous year. Trading on the UK high street has become a lot tougher, and footfall is decreasing as more consumer spending moves online. That is a problem for Poundland: with average transaction values less than 5 pounds, it has to get large numbers of customers through the door. The plus point is that Poundland works on a similar model to Lidl and Aldi, keeping prices rock bottom by purchasing in bulk from suppliers and stocking a relatively narrow range. This model has made significant inroads into the UK hard discounter market. The problem is that the so-called Big Four grocers – Tesco, Asda, J Sainsbury and WM Morrison – are slugging it out in a price war to make a visit to discounters less attractive for customers. At 14.7 times next year’s forecast earnings, Poundland is only slightly below the average multiple for an admittedly diverse peer group. And with an operating profit margin forecast by Eikon to fall to 2.8 percent by 2018 – against around 4 percent currently – it may merit a discount. Steinhoff is keen: it now owns 23 percent of the target, and an earlier pursuit of Britain’s Home Retail Group and France’s Darty shows an enthusiasm for getting its hands on European assets. But in both cases the South Africans avoided overpaying by quitting the process. It could happen here too. 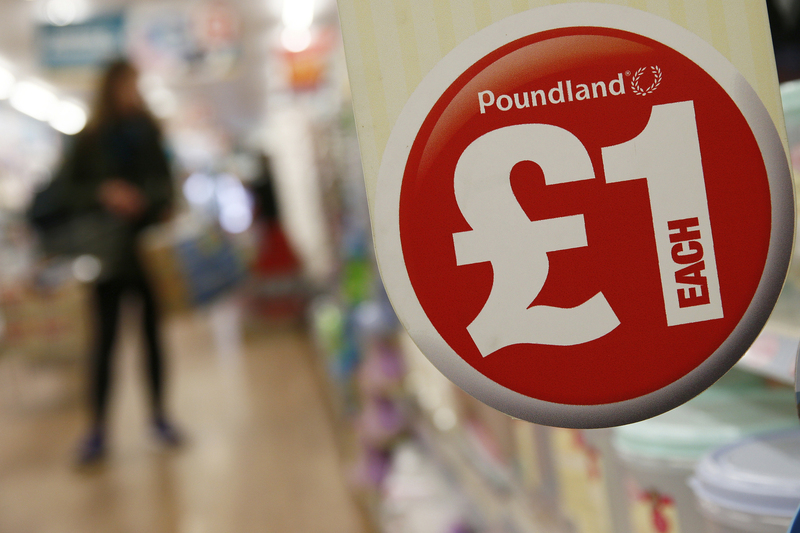 Poundland, the British discount retailer subject to a possible takeover bid from South Africa’s Steinhoff, reported a 13.5 percent fall in underlying full-year profit on June 16. Europe’s biggest single price discounter said it was hurt by subdued trading, adverse currency moves and the distraction of integrating the 99p Stores chain it bought last year. Poundland also announced the appointment of a new chief executive. CEO Jim McCarthy will be replaced by Kevin O’Byrne. The company’s London-listed shares were up 2.3 percent to 204 pence at 0830 BST.